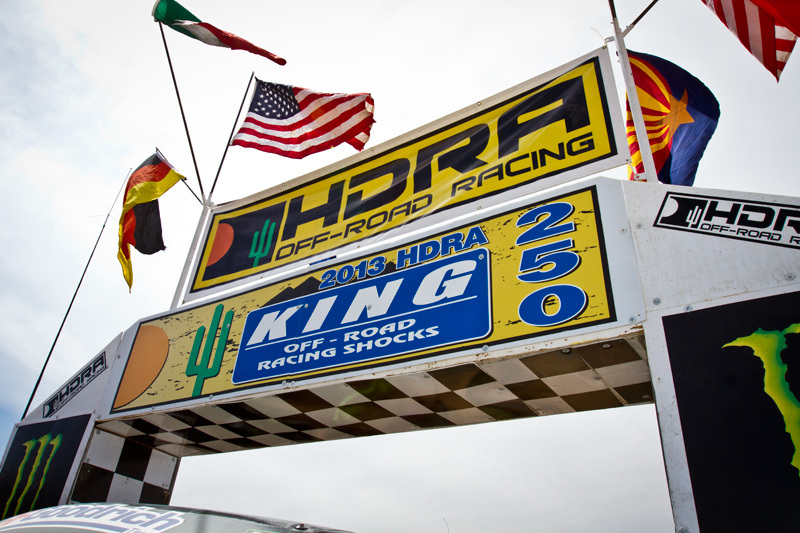 Garden Grove, California - April 10, 2013 – HDRA hosted the King Shocks 250 in the High Desert of Ridgecrest California. 99 competitors pre entered the second event of the 2013 season and over a hundred teams showed up to gain points on their quest for the Off Road World Championship. 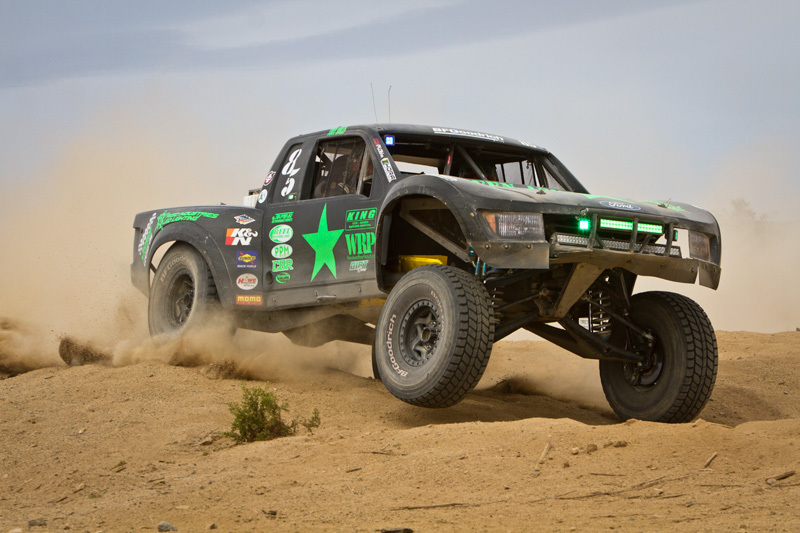 As a sweet bonus to the title sponsor, King Off Road Racing Shocks supported drivers took the top overall finishing positions (1st, 2nd & 3rd) sweeping the podium with Trophy Trucks and also collecting 5th overall with the Class 1 win. The all new course is situated inside an OHV designated “Limited Use” area. HDRA setup plenty of public spectator opportunities with scenic wide open views and many came out to enjoy the terrific weather and great racing. Ridgecrest and the sprawling Indian Wells Valley is full of old mining claims that actually litter the desolate terrain which made for a unique event for the competitors. Lined with sharp rocks, the course was tormented with lots of deep holes, miles of large whoops, sandy washes, Rail-Road Crossings and silt all of which would be a factor. 60 mile loops and 4 scheduled laps for the faster classes, meant that overtaking slower race traffic and breaking through the looming dust trail seemed to be the biggest challenges. Going off course ended the day for several competitors and the racers who implemented the smartest race strategy found the winning formula. 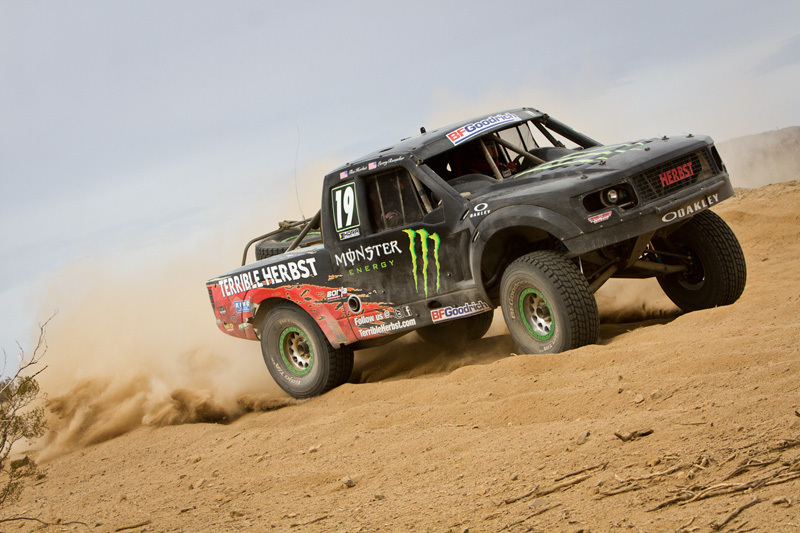 Larry Roeseler, “Wheel Man” of the #19 Monster Energy Terrible Herbst Trophy Truck qualified 3rd fastest, but quickly found his way to the front and led the next 4 laps all the way to the finish. 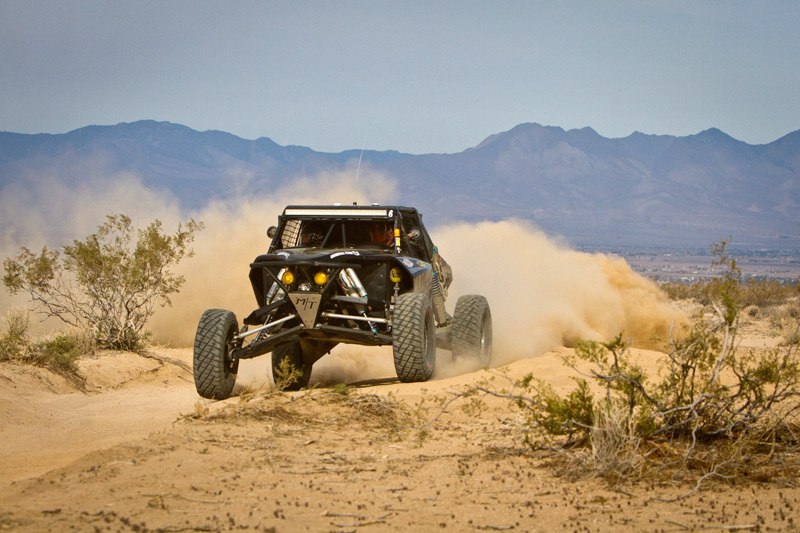 Roeseler and Tim Herbst (DOR) charged hard through the desert at a blistering pace. 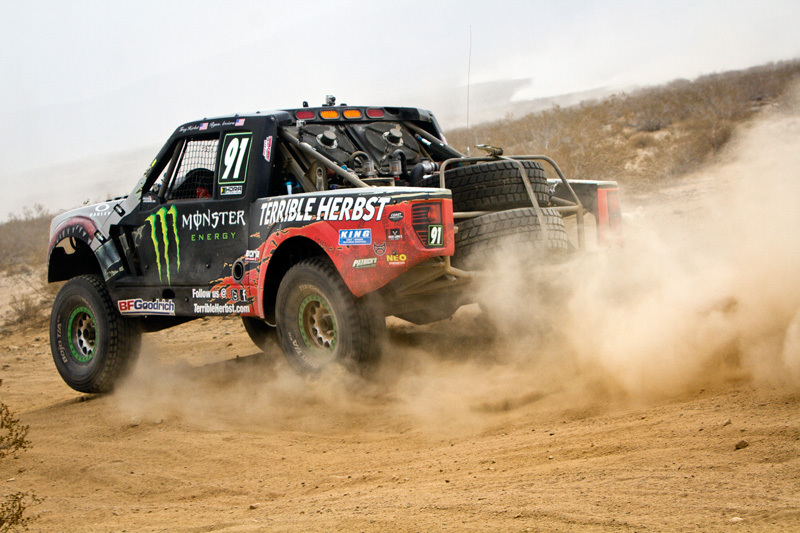 Driving the second half and aiming for the top overall win, Tim Herbst knew he needed to stretch the lead as far as possible. Their efforts fell just short to race winner Justin Davis who was about 45 seconds quicker. The #91 Terrible Herbst Trophy Truck of Tim Herbst and Ryan Arcerio, qualified 2nd fastest, went on to finish the King 250 in 3rd place overall. Winners know that you are only as good as the equipment that you drive. In Off Road Racing, there are so many variables; there is just no room for mechanical failure or missing that setup. With King Shocks Off Road Racing Products and expert support, you can be certain that your race program is at the peak of performance. If you want the competitive edge on the racecourse or just the best handling truck on your daily commute, King Shocks has the damping technology that is best for your needs. When you ride on King Shocks, you’ll know there really is a difference. Nothing rides like a King.